Knowledge gained from the great speakers: Priceless! A few days ago I was lucky enough to attend the Sydney Search Engine Bootcamp Search Engine Optimisation (SEO) and Search Engine Marketing (SEM) workshop run by Barry Smyth’s Search Strategies company and was very impressed by the quality of speakers and the knowledge that was shared. Jargon – There was a specific session dedicated to explaining SEO/SEM jargon – SEO, PPC, ROI, SERP etc which was a great idea. Not sure what else could be done to remedy this considering it’s a 1 day workshop with lots of content to cram in. Anyway even if you pay full price it’s ridiculously cheap for the knowledge you get. An SEO agency would charge a client $1000’s to give them similar advice. Quality Speakers – I’ve been to plenty of conferences, workshops and seminars and to be brutally honest around 1/4 or 1/3rd of speakers are usually no good either because their knowledge is old and out of date or their delivery is terrible and they send everyone to sleep. 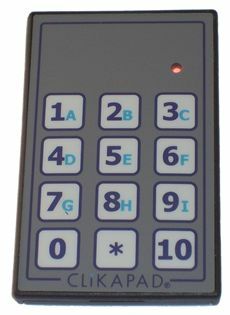 Audience Voting – In between sessions Barry kept the audience interested by asking multiple choice questions which we could answer using a Ezicomm wireless voting keypad. No doubt the answers will provide useful market research info which can be used to fine tune the workshop for next time. Schedule & Food – Check-in to pickup a notepad and small Search Engine Bootcamp backpack closed at 8:45 giving people to time to drink some tea/coffee to help them wake up. Each of the 4 sessions contained 3 x 30min talks and a Q&A session afterwards and at the end there was an hour of Networking drinks 1730-1830. Conference food is usually average but this workshop was held at the Sheraton 4 Point Darling Harbour where we had full choice of of the buffet menu at their Corn Exchange Restaurant with plenty of choice for everyone including vegetarians like me. Free Search Engine Category Report worth $750 – Courtesy of Hitwise. One Month FREE subscription to the Keyword Discovery service valued at $80.00 – Courtesy of Trellian. The following is a summary of the notes I took across the whole day. Obviously being in the SEO field for several years I already knew almost all of the tips but I’m repeating them here so that others can learn. Talk to your SEM client! Get to know their business in depth and read any brochures or marketing material they use offline to get keyword ideas. Online Reputation Management is an emerging field well worth investigating which involves monitoring, analyzing, and pro actively managing the conversation about your brand, organisation, and reputation, online. Wow. You are so lucky. I would give anything to attend something like that. I don’t have the resources to do it though. Thanks for the thorough review – sounds very informative. Wow, seems like it was a great bootcamp! Thanks for going into so much detail in your review! I’ll have to make sure to go to things like that in future, as it seems like you can learn a lot! I was waiting for a review of this. Sounds like it was a lot of fun and you got a lot out of it. Thanks for the mention too! 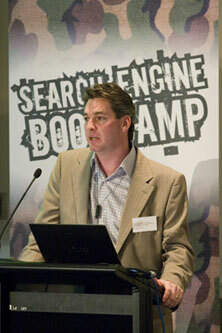 I have attended the search engine boot camp and it was, without doubt, the most unprofessional waste of time I have ever sat through. The unfortunate thing is that there is a reason why these courses are so cheap!! There was not enough seating for the attendees, no notes were provided and the course presenters told us it was going to be rushed becasue the course was supposed to be over a full day not half day. We were not even provided with a pen or notepad! The course presenters sat up the back and talked between themselves while other speakers were presenting (very rude) and they were all sitting at desks while paying customers were sat on chairs up the back with no desk. This course may be JUST suitable for a sole trader or someone very new to the internet, but definitely no for well established organisations. I strongly urge anyone considering paying money for this “bootcamp” to think twice before committing.